For fans of the New York Times bestsellers The Last Punisher and Lone Survivor, a heart-pounding military memoir from a former Army Ranger sniper and Special Operations weapon sergeant-turned-journalist about the incredible highs and devastating lows of his career. Growing up in small New York towns, Jack Murphy knew he wanted to lead a life far from the ordinary—a life of adventure and valor. After the 9/11 attacks, he immediately enlisted in the Army, knowing this was his chance to live the life he desired and fight for a cause he staunchly supported. After making it through the rigorous Ranger Indoctrination Program, he graduated sniper school and was promptly deployed to Afghanistan, where his experiences went from ordinary to extraordinary. 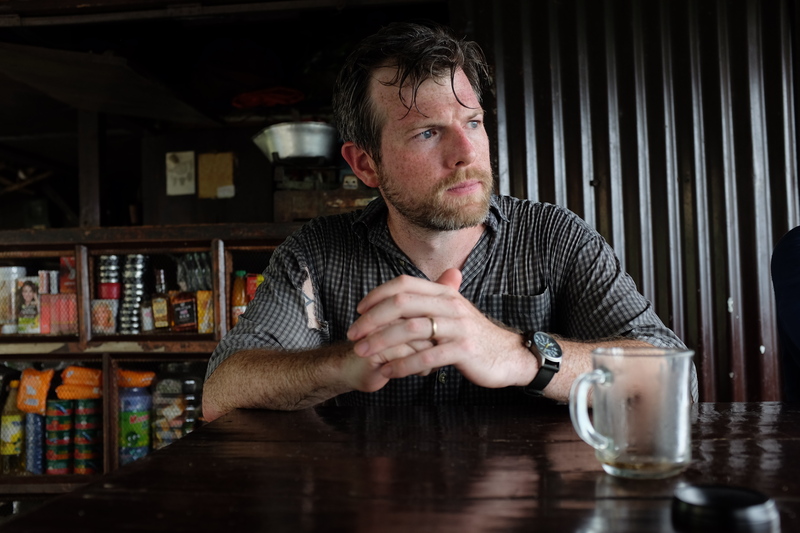 In this gripping military memoir, Murphy recounts the multiple missions he underwent as a Ranger, a Special Forces weapons sergeant, and ultimately, a boots-on-the-ground journalist. From enemy ambushes, dodging explosives, crashing terrorists’ weddings, and landing helicopters in the streets of Mosul, Jack provides a hard-hitting glimpse of what combat is like in some of the world’s most dangerous, war-torn places. With tours of duty in two of the most decorated units of the armed forces, Murphy brings a unique perspective to the military genre as he reflects on his great triumphs and shattering failures both on and off the battlefield. Later, Murphy turned his attention to breaking news within the military. His stories have taken him from Iraq to Switzerland, from Syria to South Korea. From crossing Middle Eastern borders in the dead of night, to rolling into an IED-laden zone, Murphy’s stories are always a thrill a minute. 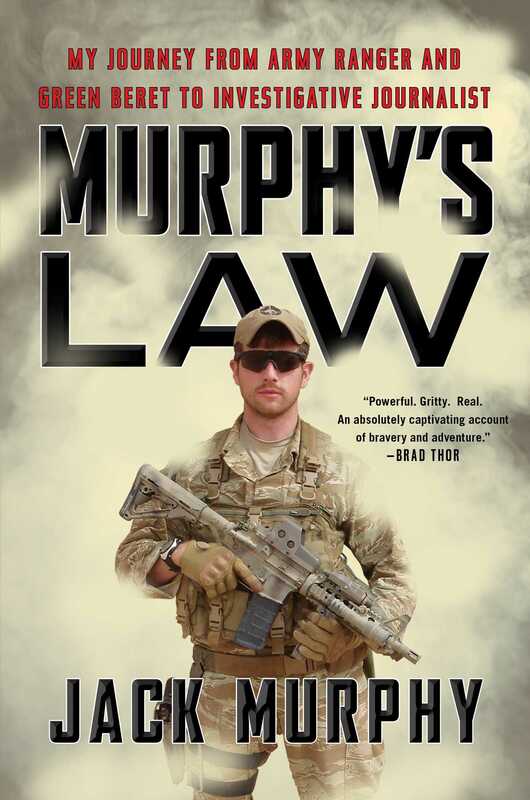 Murphy’s Law tells a story of intense bravery and sacrifice—both on and off the battlefield. Jack Murphy is an eight-year Army Special Operations veteran who served as a Sniper and Team Leader in 3rd Ranger Battalion and as a Senior Weapons Sergeant on a Military Freefall team in 5th Special Forces Group. After returning to civilian life in 2010, he graduated from Columbia University in 2014 with a bachelor’s degree in political science. While in school, he cofounded the website SOFREP which is a news and information website run by Special Operations veterans. "Murphy's Law is a fast-paced, insightful, hold-nothing-back memoir. The book will ruffle some insider feathers, and rightfully so. Sure to go down as an important piece of military-memoir history." "A refreshingly honest account of life at the tip of the American military spear. Murphy, a man who's made a career of running toward gunfire, daylights the fascinating culture of elite units in this gripping book." "Powerful. Gritty. Real. An absolutely captivating account of bravery and adventure."